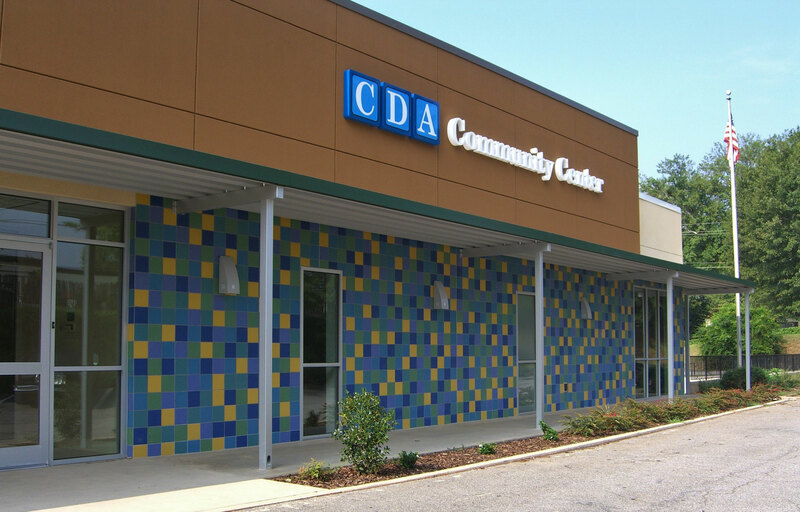 The Child Development Association (CDA) provides affordable early learning programs and childcare for preschool children of low-income families in the metro Atlanta area. 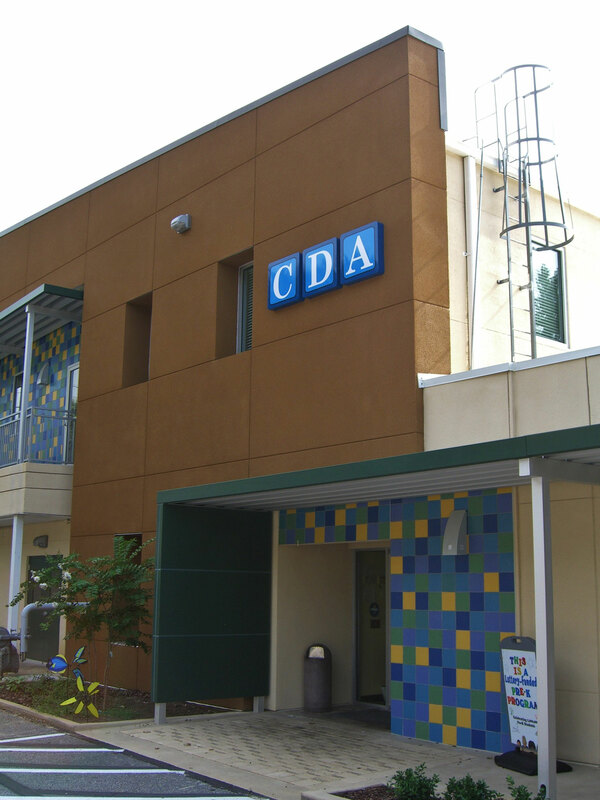 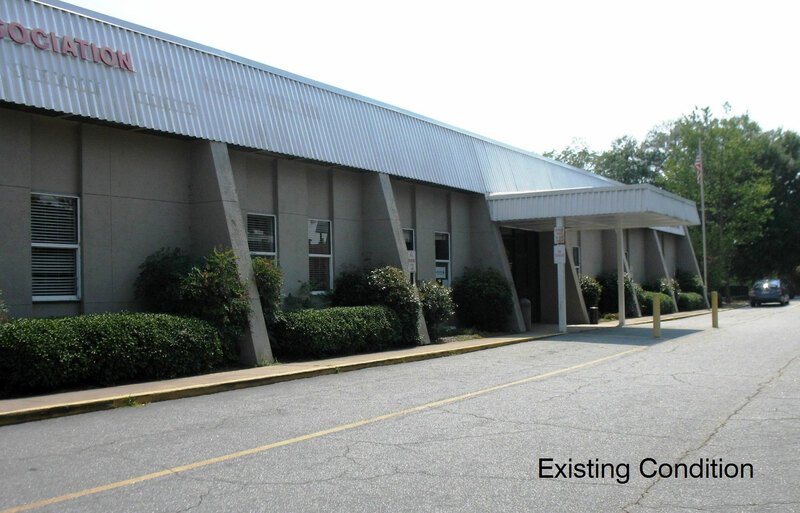 CDA’s original offices and Children’s Center, shared with four additional non-profit organizations, was constructed in 1974. 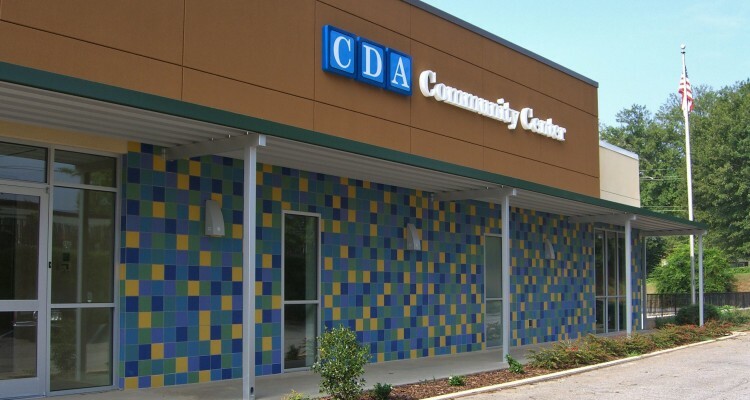 In order to update and improve what had become an outdated asset, the building’s exterior was re-imagened in a more contemporary and lively design to complement the programs and mission of the organization. 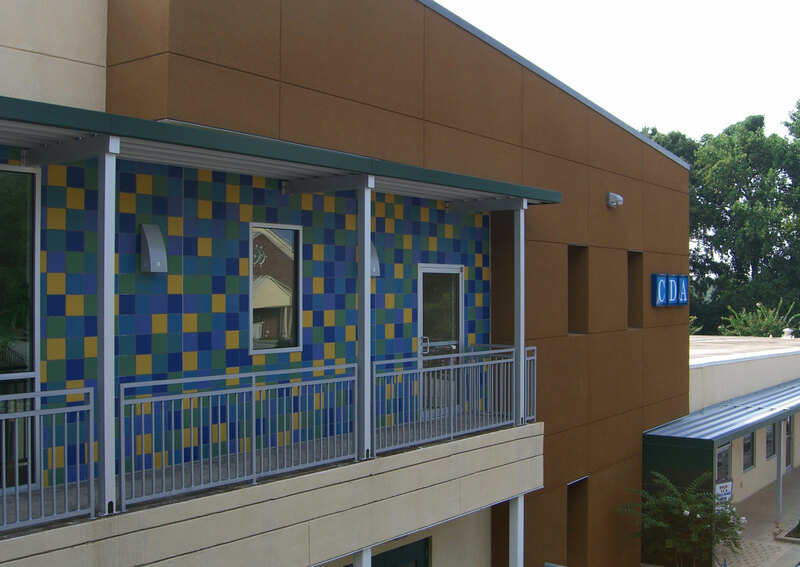 New fenestration and insulation in the exterior building envelope provides improved energy efficiency and moisture control. 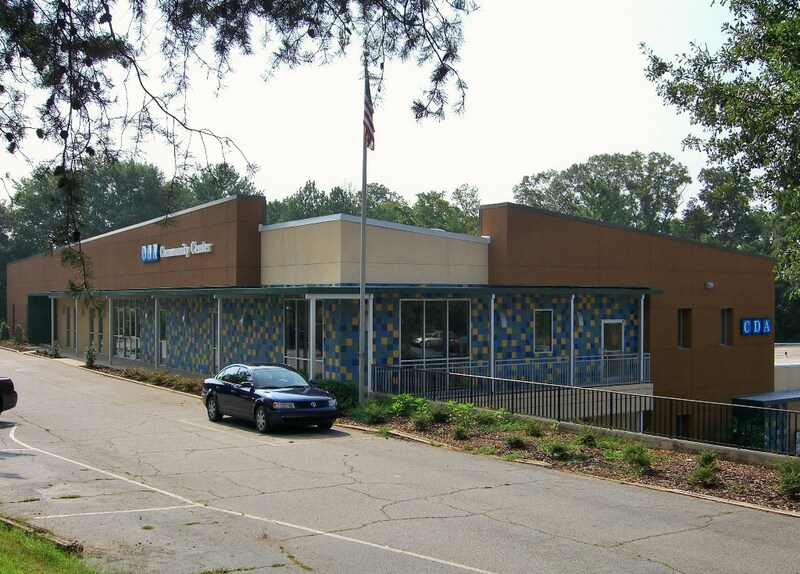 The site surrounding the building was master planned for future improvements to address stormwater management issues, pedestrian and vehicular circulation, and to better integrate the building with the parking, sidewalks and landscaping.